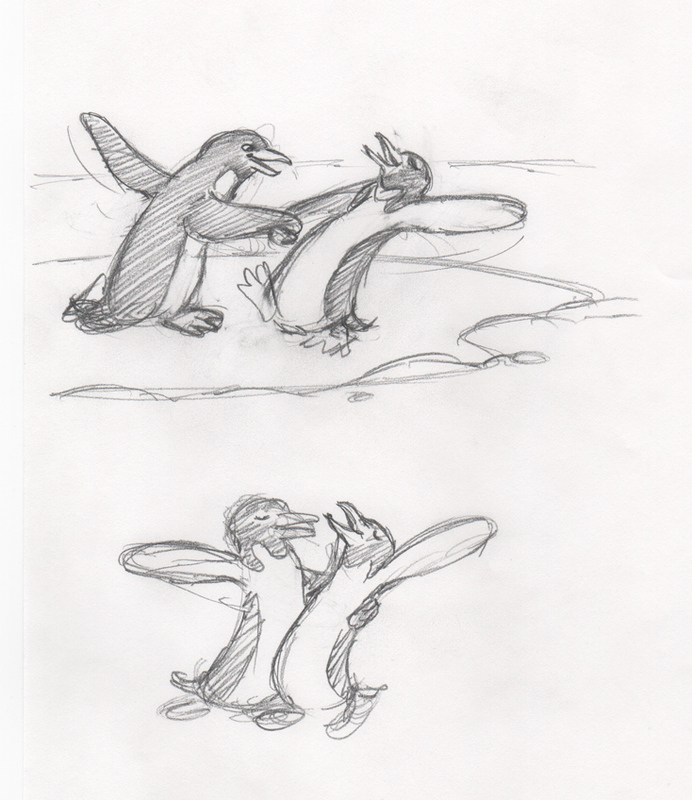 You can see that I refined the shapes of arms and legs, and clarified their expressions. 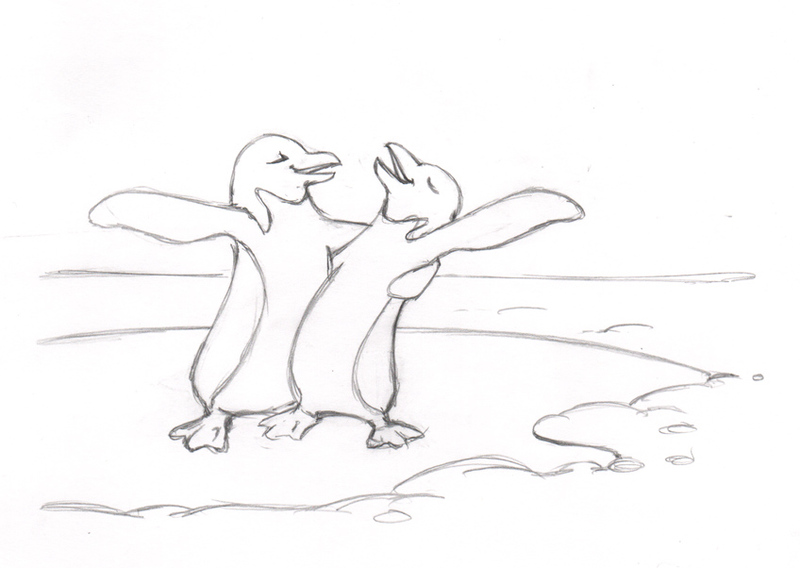 I am really pleased with how this image turned out; this penguin couple looks like they are having a lot of fun. Thanks for stopping by! 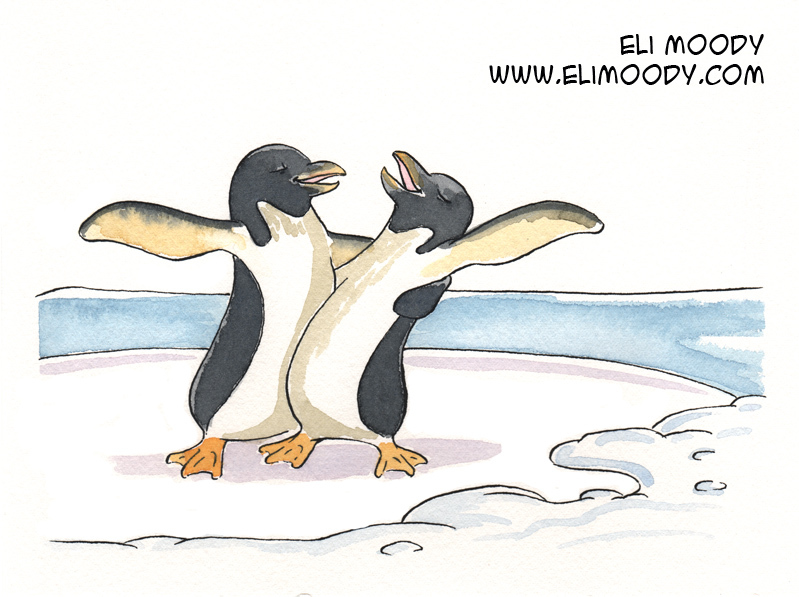 This entry was posted in illustration and tagged animals, dancing, eli moody, ice, illustration, pen and ink, pencils, penguins, snow, watercolor. Bookmark the permalink.